So much of what gets taught about mixing is focused on stereo, but as any professional mix engineer will tell you, it’s just as important to know how to mix in mono. The most obvious reason for this, is that there are a bunch of very likely situations in which your track will be played in mono – not least of which live playblack in a club. 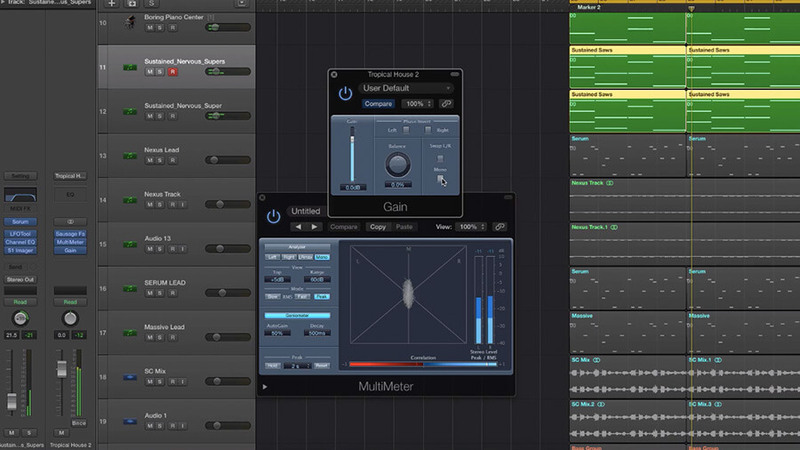 It also makes more sense for specific elements of a track to be mixed in mono and there are a load of tricks and techniques using mono that you can apply to get the best sound out of your productions, whatever system they are played on. Learning how to mix in mono should be on your critical skills list. In this course, Echo Sound Works will teach you how to create a mix that sounds good in mono and also how to improve the quality of your stereo mixes using mono referencing. Learn Professional Techniques – Improve Every Mix You Work On With Expert Skills! PART 1- Introduction – Welcome and find out what topics will be covered. PART 2 – Monophonic Vs. Stereophonic – There is more of difference between these two concepts than just how many perceived channels we hear audio on. Mono and Stereo are an integral part of any mix and knowing when and why to make some tracks mono or more mono compatible can actually really help your stereo mixes come to life. PART 3 – Referencing Your Mix In Mono – This video talks about a few techniques that will let you actually hear wants happening in your monophonically. PART 4 – Monophonic Mix Elements – This video outlines what elements (like what type of tracks/instruments) should be in mono or at least treated to be mono compatible. PART 5 – Stereophonic Mix Elements – This video details what types of instruments or sounds should be kept in Stereo so your mixes sound commercially viable. PART 6 – Addressing Low End Elements – This video will show you how to mix and treat the low end instruments of a mix for better mono compatibility and improved stereo image. PART 7 – Addressing High End Elements – This section will show you how to improve your mono compatibility in regards tot he high end instruments in your mix, things like hi hats, noises, synths etc. 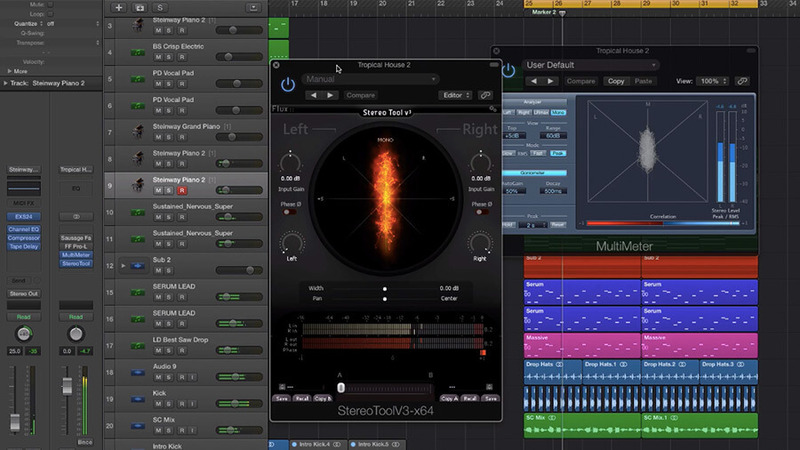 PART 8 – Wider Mono Tracks – This video will show you 5 great tips and tricks to get wider mono tracks in your stereo mix. 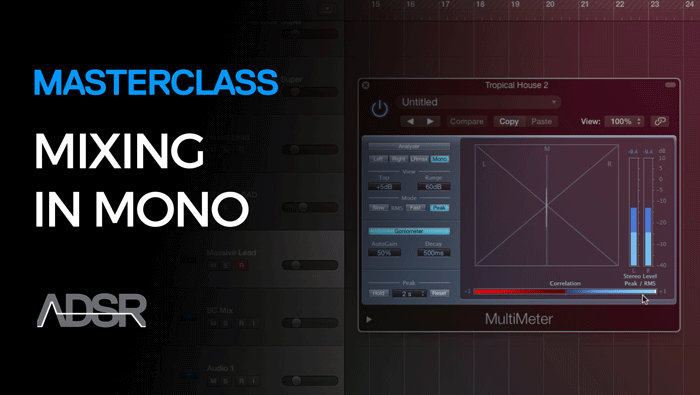 Featuring just over 90 minutes of intense video content, the Mixing in Mono course is broken down into 8 individual sections covering everything you need to know about monophonic vs stereophonic sounds. Lets face it, getting a mix that sounds great on every system can be a task. Take the mystery out of production with focused and informative tutorials that break down exactly how and why to get the most out of your time. He is the creator of the best selling sound sets Massive Beast V.1, Melbourne Anthems, EDM Drops V.1 and Future EDM V.1. He has produced music in multiple genres including EDM, singer songwriter and pop ands had his music placed everywhere from VH1 and MTV to ABC Family and Lionsgate. Professional instruction from a working producer. It’s like having your own private tutor!